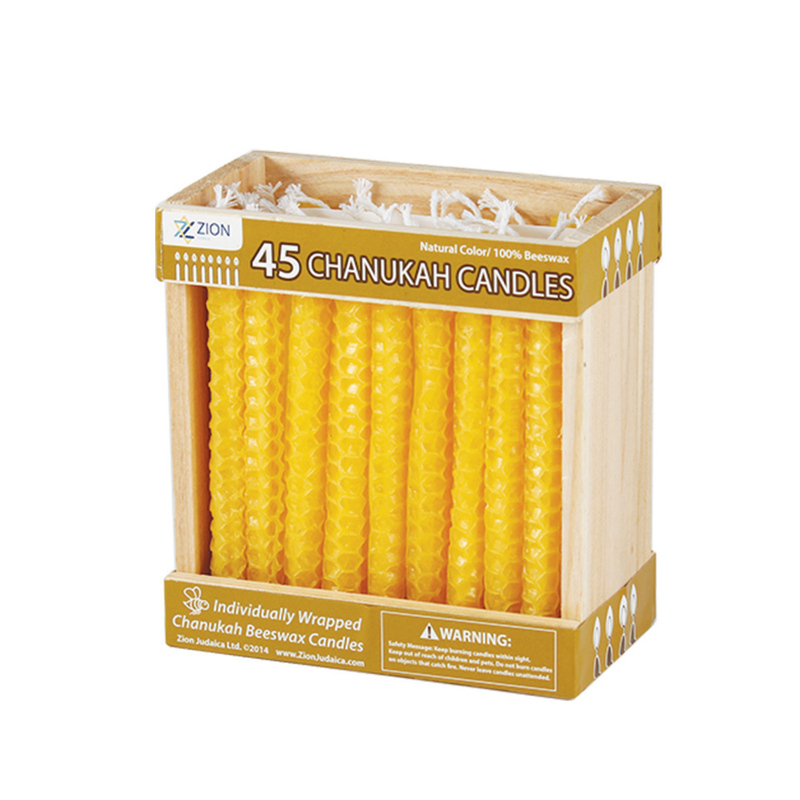 Natural Yellow Beeswax Candles for your Hanukkah Menorah. A pure candle for a Jewish ritual. 4" high, fits most Menorahs.